UNITED NATIONS – Days after a consortium of international investigators announced that Russia was the source of a missile that had launched a civilian passenger plane over Ukraine four years ago, the Netherlands Foreign Minister on Tuesday called on Russia "to shoulder its responsibility take over "for the death of 298 people who were killed in the attack. 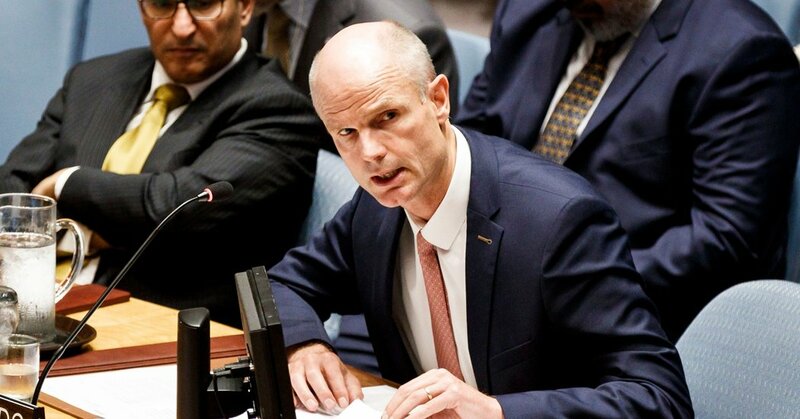 Foreign Minister Stef Blok from the Netherlands, whose country has taken a leading role in the investigation, told journalists in the run-up to a meeting of the United Nations Security Council on the war in Ukraine had come to New York to the Russian delegation "Eye in the hope of compelling Russia to cooperate in the investigation and bring those responsible for air traffic to justice. "Unfortunately, since the crash of the day, Russia has done its best to bring about conspiracy theories, denials, distortions of reality, and disinformation," said Mr. Blok. "Our position has not changed for four years "Nebenzya said. An international consortium of investigators, led by the Netherlands and Australia, announced that the rocket used to launch the plane, a Boeing 777, sailed from Amsterdam to Kuala Lumpur, the capital of Malaysia for the 53rd Flak Brigade belonged Russian unit based in the city of Kursk. Most passengers of the jet were Dutch or Australian citizens. Using photos and videos, investigators tracked the missile as it was transported on a Russian mobile launcher to a rebel-controlled sector of Ukraine and back. Around the time the plane was in service, Malaysia Airlines Flight 17, was shot down. Investigators have identified about 100 people whom they believe were involved in the attack, despite the fact that they have not identified any suspects, citing the ongoing investigation. Many questions remain, officials say, and Russian help is needed to answer them. "The missile used was owned by the Russian army, and therefore the Russian Federation should, of course, give the prosecution information about how this rocket ended up on Ukrainian territory, who was responsible for it," Blok said in an interview after the meeting of the Security. So far, he said Russia has not issued an official response to the latest revelations. The first reaction of Russian Foreign Minister Sergei Lavrov in a telephone conversation last week was "rather disgusting," said Blok, although Lavrov promised to study the evidence presented. The Dutch government, Mr Blok said he would not rule out pushing for additional sanctions against Russia should it not cooperate with the investigation. "We do not exclude anything," he said. The four-year war in Ukraine has killed more than 10,000 people and continues to burden relations between Russia and the West. In the Security Council's remarks on Tuesday, Nikki R. Haley, the United States Ambassador to the United Nations, said the Trump administration would not impose sanctions until Russia withdrew its troops from eastern Ukraine and took control of it Crimea which it annexed from Ukraine in 2014 has given up.